A scientific breakthrough in beauty & cosmetics that functions as a multitasking serum in a bottle. Enriched by a variety of vitamins, minerals, and antioxidants, it will leave your skin feeling fresh, smooth, silky and looking younger than ever before! Our quick absorbing formula penetrates deep into the dermis to hydrate the skin without the compromise of feeling greasy afterward. 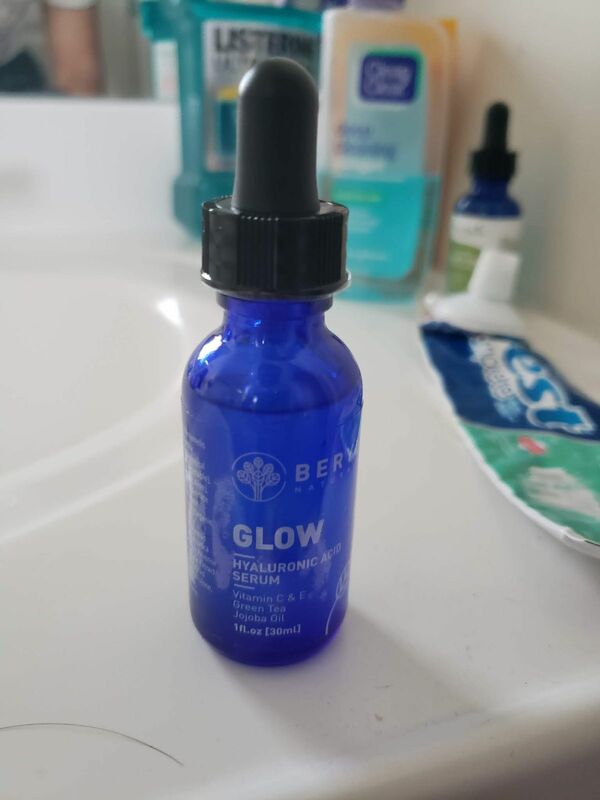 GLOW Hyaluronic Acid Serum helps prep your skin for makeup application and reduces the appearance of any visible pores without settling into Fine Lines or wrinkles. You'll be glowing on any occasion with GLOW. Enriched by essential oils, botanical, and countless other plant-based extracts our formula is guaranteed to protect your skin from a number of skin conditions, blemishes, discolorations and can even provide resistance to those harmful ultraviolet rays (UV) from the sun. Our recipe actively works to penetrate deep into the dermis while simultaneously preventing the escape of moisture from the skin. By efficiently combining the effects of our ingredients we ensure that your skin will always be properly hydrated. Powerful Antioxidants ward off free radicals by protecting your skin from the environment and the sun's ultraviolet rays in order to aid in the prevention of premature aging, thereby keeping your skin luminous, supple and spry as a young Spring chicken. Filled to the brim with hair, skin, and health benefits, Jojoba Oil is one of most versatile oils to ever be discovered in the world of cosmetics. 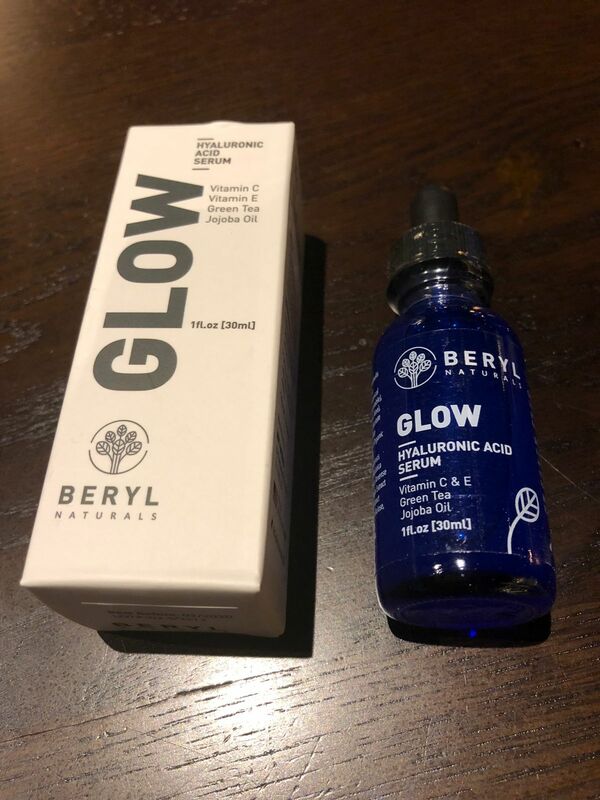 We specifically included it in Glow Hyaluronic Acid Serum because of its healing capabilities. Additionally, it's been scientifically proven to assist aloe in the treatment of burns and other dry skin conditions like Psoriasis. Jojoba oil will have you feeling smooth without leaving any unwanted sheen. Before modern science became the ruling class of cosmetics, natural skin care products were king. Back in those days, plants such as witch hazel were utilized to cure swelling, sores and other infections. But, witch hazel doesn't only provide restorative/healing benefits to the skin, as it is also one of the most powerful acne treatment plants known on earth. Additional benefits for witch hazel include protecting the skin against free radicals that can cause skin cancer, promotes a healthier, cleaner looking skin, and more. Witch Hazel is an astringent that can help you reduce swelling, blisters, treat poison ivy, and even insect bites. As such it's natural that we chose witch hazel in our skin care product, perfect for eliminating the bacteria that lives inside the pores, and preventing cellular damage in the skin, witch hazel is certainly a brave warrior in the fight against an unhealthy epidermis. You will swear Witch Hazel is magic. A relative stranger to the world of cosmetics, Gotu Kola is a member of the same family as parsley. But, while it's fairly unknown in the West, it has been a traditional medicinal herb to our brethren in the East for generations. A common element of aromatherapy, Geranium is known for its numerous health benefits. Originally used by the Egyptians to promote radiant skin, it's now used to help treat acne, reduce anxiety, alleviate inflammation and even hormone balancing. But, that's not all Geranium is good for as it can also induce tightness of the skin in several body parts. By minimizing the effects of Fine Lines and wrinkles, Geranium tightens the skin around the face and can reduce the effects of aging. The astringent properties of Geranium can also provide additional tone to the muscles and will prevent the surrounding skin from sagging in order to look firmer, suppler and youthful. However, appearance isn't everything that Geranium can do for you as it is also known for helping speed up the process of healing wounds, incisions, and even cuts. Even infections of the skin don't stand a chance against Wild Geranium which is why it was one of our top choices when selecting ingredients for our formula. Quickly absorbed to hydrate your skin without the greasy feel. Prepares your skin for makeup application all while diffusing the appearance of visible pores and without the product settling into lines and wrinkles. Includes essential oils, nourishing botanicals, plant-based extracts plus powerful antioxidants and vitamins including C & E! It contains extracts that effectively strengthen the skin moisture barrier allowing for proper hydration. Powerful Antioxidants work to ward off free radicals and protect your skin from the environment to aid in the prevention of premature aging, keeping your skin luminous, supple and healthy looking! After applying a toner (if you use one), apply a small amount of this serum to the face, neck, and décolleté. Allow serum to dry then wash your face and pat it dry. Follow application of this serum with a moisturizer. Glow forth and prosper! This is going to be a great serum for summer! It is light and sinks down quickly on my skin. Even after my face dried it wasn’t sticky! I would definitely recommend this to people! This product goes on easy and goes straight in. No residue feeling. It makes my skin feel and look firmer. I am outside a lot and my skin is exposed to the elements often. This is the best product I have used for balancing out my combination skin. I find it helps control my oily patches and smoothes my dry spots. This is so much better than any cream or gel product I have ever used. It does not have a smell either, which is nice. I'm 44 and have not had any treatments or procedures on my face and people think I have so if that isn't a testament to his product, I don't know what is. 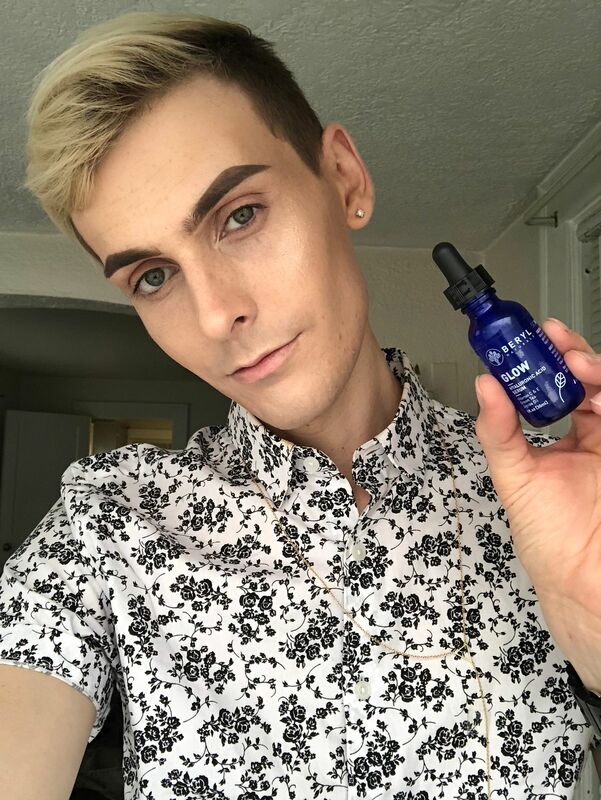 First of all, my skin adores hyaluronic acid so if you haven’t tried it before then you better wake up girl! This is a stunning product that hydrates the skin and KEEPS it hydrated! It’s perfect for morning and night and isn’t harsh at all. I’d definitely recommended to anyone, all skin types! I actually ordered this for my wife. She was complaining that she didn't like the stuff she was using. I came across this and ordered it for her. She tried it and is so happy! She likes that there is no smell and says that it is really helping her face feel clean and look better. I have noticed the difference as well. We both agree there is actually a glow to her skin now. Great product!